Kiffy Stainer-Hutchins & Co primarily operates from a 2,500ft² (232m²), purpose converted conservation studio space on the Houghton Estate, near Kings Lynn, Norfolk. This modern, fully equipped facility and dedicated work area is capable of taking on a wide variety of projects concurrently. Due to the spacious nature of the facilities we are also able to accommodate very large and/or numerous paintings at any one time. 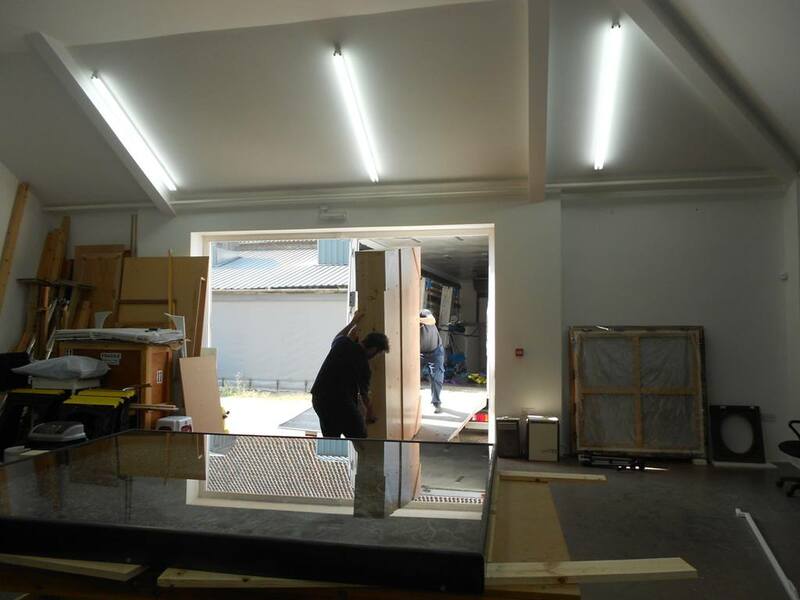 Our maximum ceiling height and internal and external door access is 4.5m (14ft 9ins). 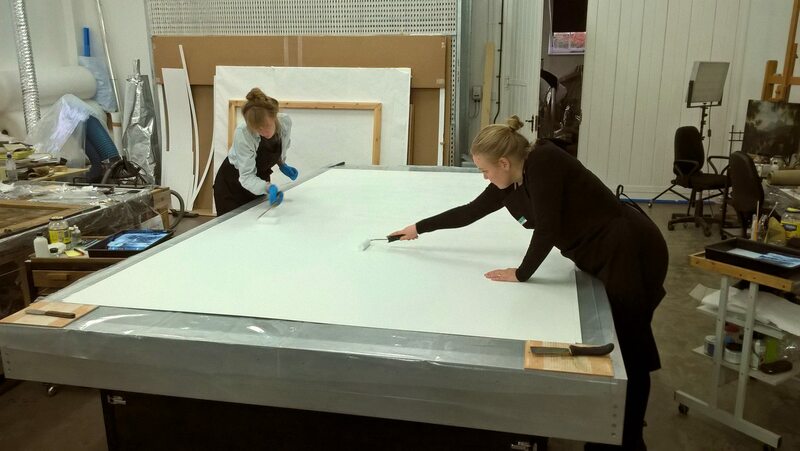 We also have a fire and security protection system approved by Hiscox Underwriting Ltd.
Our conservation studio houses the largest Multi-Purpose-Treatment-Table™ made by Willard Developments Ltd in the European private sector, measuring 3.5 x 2.0m (11ft 5¾ x 6ft 6¾ins). 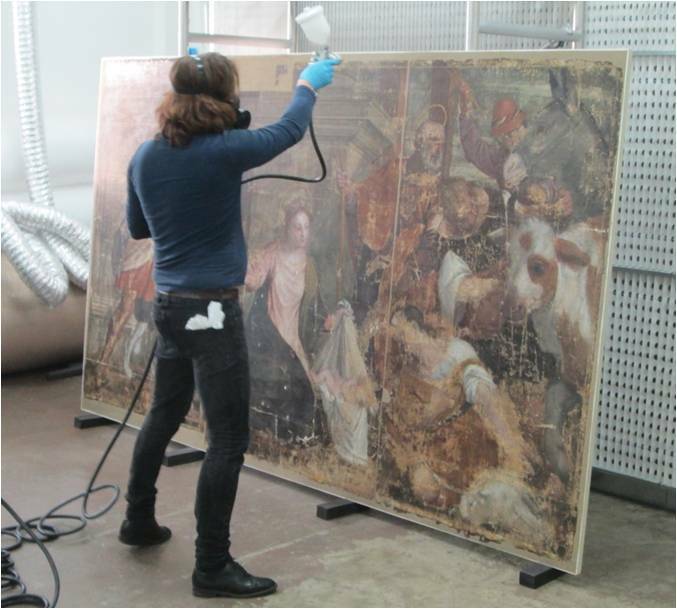 This multifunctional vacuum hot table with combined humidification functions means we are able to offer a variety of sophisticated lining techniques and structural treatments to canvas paintings and other mixed media for both clients and other conservators alike. 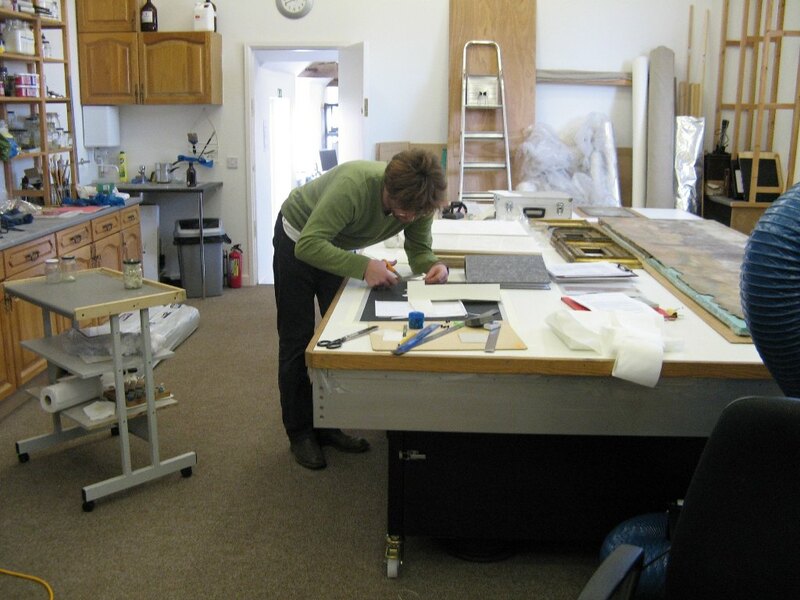 Our conservation studio also houses a variety of other specialist equipment including a custom built panel treatment table with adjustable pressure jigs, which means that we are also able to offer a variety of sophisticated structural treatments to paintings with rigid supports for both clients and other conservators. 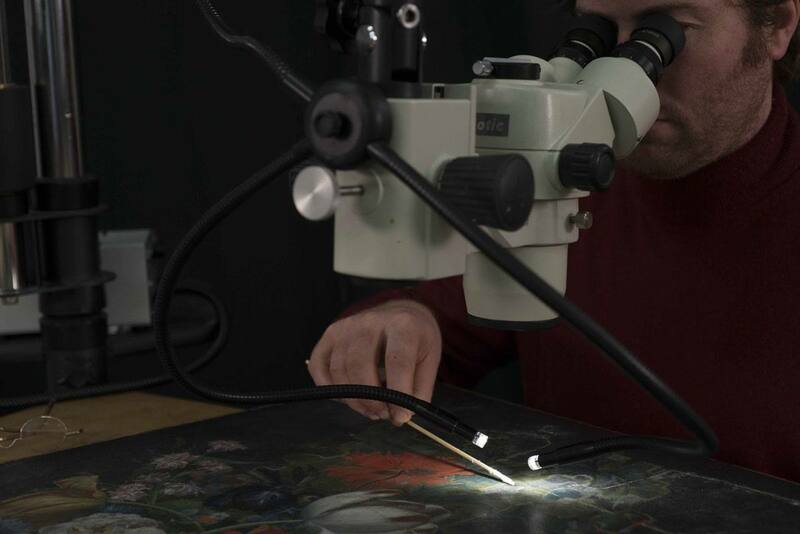 analytical microscopes, technical lighting and a variety of technical examination equipment, as well as extensive digital imaging equipment, all of which enable us to provide in-depth and comprehensive technical assessments that can compete with leading museum conservation departments. In conjunction with the Houghton Estate, Kiffy Stainer-Hutchins & Co are helping to establish a complex of professional workshops and studios within the same site. 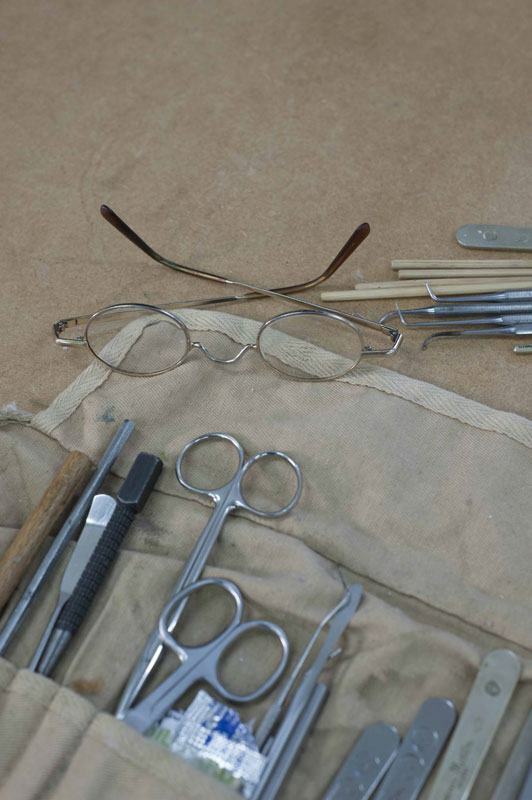 The site is known as the ‘Houghton Conservation Studios’ and includes the eastern counties base for Cliveden Conservation Ltd, the eminent sculpture and architectural conservators.